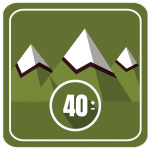 Steep Rock Association is sponsoring a hiker’s challenge. Walk all 40 +/- miles of trails in the three Steep Rock Preserves — Hidden Valley, Steep Rock and Macricostas — and become a member of Steep Rock Association’s hiking club. Introducing the 3 Peaks Challenge sponsored by Steep Rock Association’s Outreach Committee. 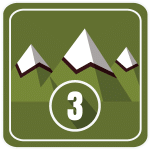 To participate, ascend all three peaks: Hidden Valley’s Pinnacle, Macricostas’ Waramaug Rock, and the Steep Rock Summit.